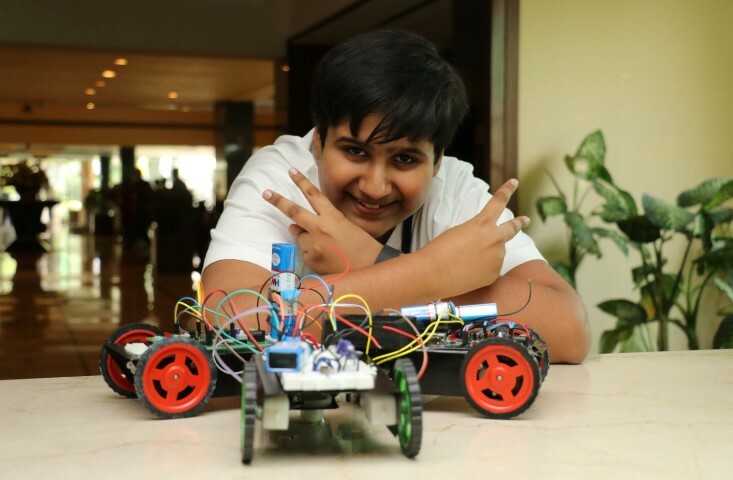 NewZNew (Chandigarh) : This 13 year old is an ordinary child, but thinks extraordinarily. Tushaar Sarin has his eyes set on his goal to make it big in the field of science and technology with a clear vision and intention. Passionate about technology and its practical applications, Tushaar can spend hours pondering over complicated problems and devising solutions for the same. 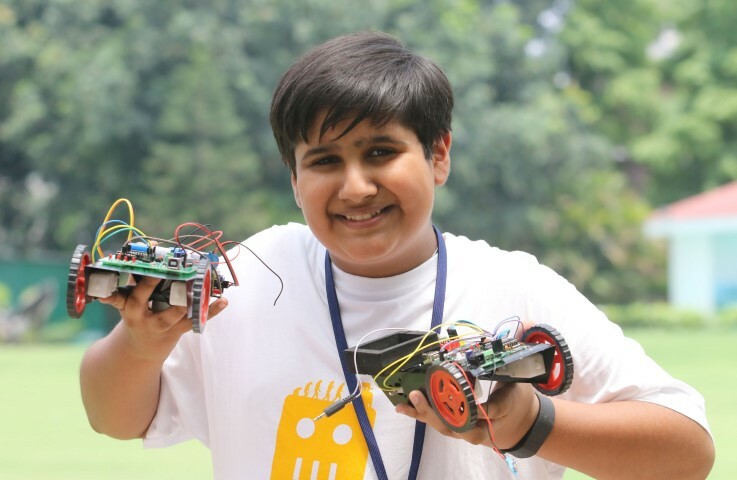 Trained by the Chandigarh based RoboChamps, this Class 8th student of Vivek High School, Sector 38 here, Tushaar also demonstrated a Robot controlled via cell phone with the help of DTMF (Dual Tone Multi Frequency) module. Mobile keypad is used as input control unit of the microcontroller. For controlling the robot, 2 mobile phones are used. One is connected with robot (it act as call receiver) and another is call sending like remote control. Tushaar had started his journey with RoboChamps, about six months back and today he can compete with engineering students. 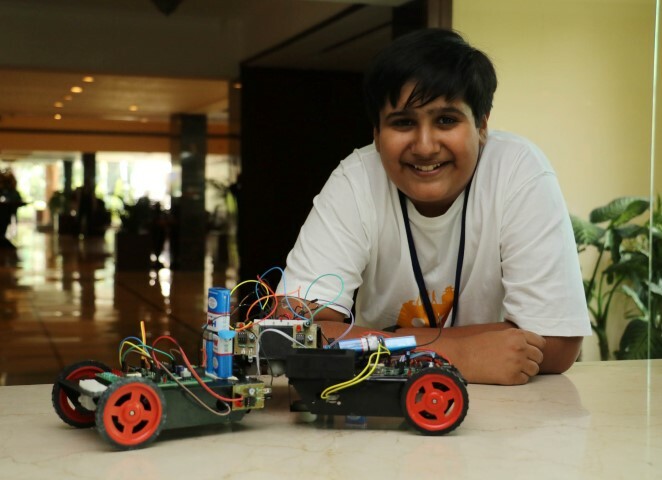 RoboChamps is a sister concern of Robotics Education World being run by Akshay Ahuja and is engaged in providing Robotics and Technology based education to the young minds through schooling education in India. 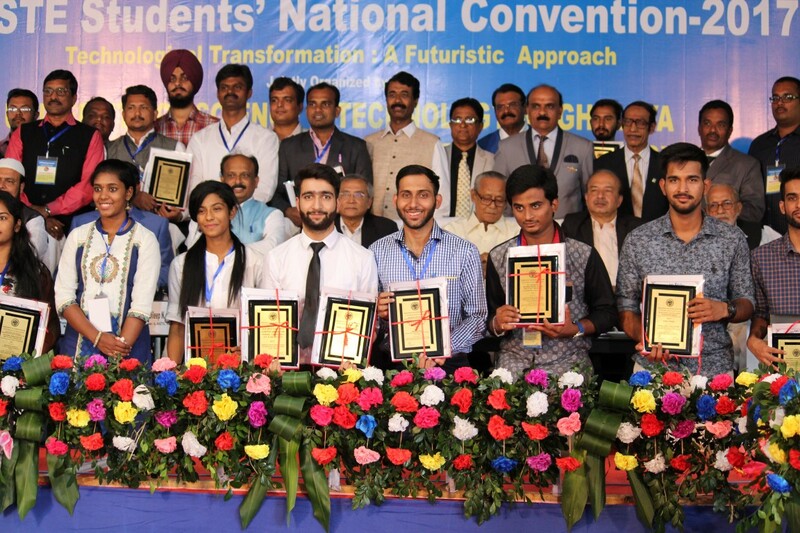 RoboChamps training over 20,000 children from across the country who will share the stage in India’s first and largest ever robotics show which would be held next month in New Delhi. From a very young age he showed remarkable understanding of computers and the intricacies of computer programming. As a child he was very creative and would often surprise people by creating extraordinary things from broken toys, knick-knacks and ordinary objects. “I am now making a fire alarm, which he is planning to install in many places, a smoke sensor, which he want to install in public places and he generates beautiful music using transistors. He has installed clap switch in his home through which he can operate his room lights using sound of clap. Some other things which Tushaar has made include water tank alarm, home security system, traffic lights model and screamer (LDR based device which works on light). Besides this manual robotics he is doing research on many other projects as well. Akshay Ahuja, Director, Robotics Education World, while speaking to media persons informed, Tushaar has excelled in Automatic Robotics and has started working on ATMEGA 16 IC, which is micro controller (topic of 3rd year Engineering). He added Tushaar has researched on many IC’s like motor driven IC, MAC 232 which is used for serial communication, LM 358 which act as comparator. Then he started research on IR sensors, and after some time he came up with IR sensors for his robot and Learnt Embedded C.
He then worked on ATMEGA 8 on which he embedded many modules like LED’s, IR sensors, Motor driven IC, Seven Segment module, Sound sensor, Smoke sensors, heat sensors etc.